THE NEW PROTOTHEMA.GR IS LIVE BY ATCOM | ATCOM S.A. 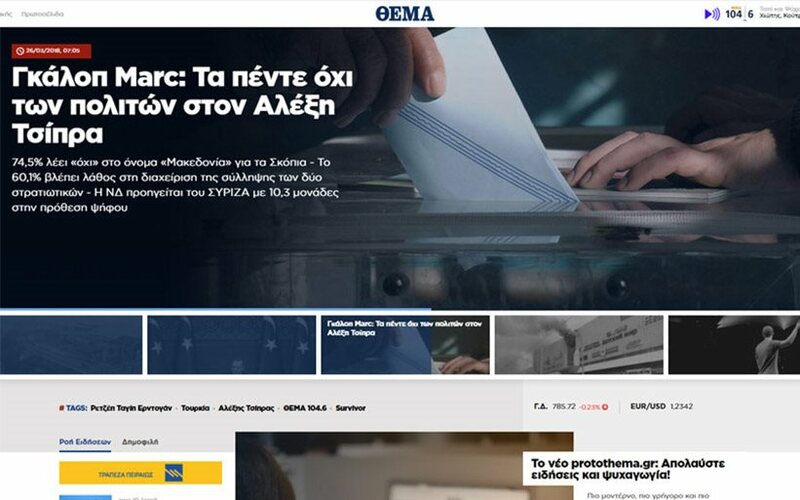 The new version of protothema.gr was announced by “Proto Thema” and ATCOM, reintroducing the website to its digital audience with an updated design and technical capabilities that upgrade the overall user experience. In a fully responsive and user-first environment, readers can receive instant updates on the news of their preferences through any device, having immediate access to the total of the news categories from the website’s homepage. Furthermore, a thorough analysis was performed to decide the placement, as well as the adaptation of advertising banners to different devices, aiming to achieve optimal integration, ensure the highest performance and accommodate the needs of advertising clients. During the research and implementation process, special focus was placed on the assurance of flawless page speed and performance. Despite the existing technical infrastructure, the portal was completely reprogrammed and replatformed to the latest version of ATCOM’s multi-awarded content management platform, Netvolution 5.5, incorporating the entirety of this version’s innovative features, such as Page Editor, as well providing the potential for further additions in the near future. On the occasion of the new version’s launch, Giannis Korres, R&D Director at ATCOM stated: “Page Editor, the most powerful functionality of Netvolution’s latest version (5.5), was developed by ATCOM’s R&D Department to address the essence of every digital publisher’s need for practical, fast and interconnected content management. Allowing the configuration of a page’s layout through a plethora of available variations, Page Editor enables administrators to visualise the modifications as they apply them, drastically decreasing editing time. Netvolution is one of the few CMSs globally to offer this functionality and we are particularly happy that a 100% ATCOM product supports in such an effective manner the content reaching the screens of millions of Proto Thema readers”.